Manila: Philippines President Rodrigo Duterte will need to change the constitution to adopt a new name for the country, the Senate president said. Duterte said the Philippines's name should be changed to "Maharlika" which refers to nobles in the local language, reviving the late dictator Ferdinand Marcos' proposal. Philippines is a reminder of the country's colonial past, having been derived from Spain's King Philip II, he said. Senate President Tito Sotto, however, seemed cool to Duterte's idea, which the lawmaker said may entail rewriting the Constitution identifying the Philippines as the country's name. "It will require too many changes," he said in a mobile-phone message Tuesday. 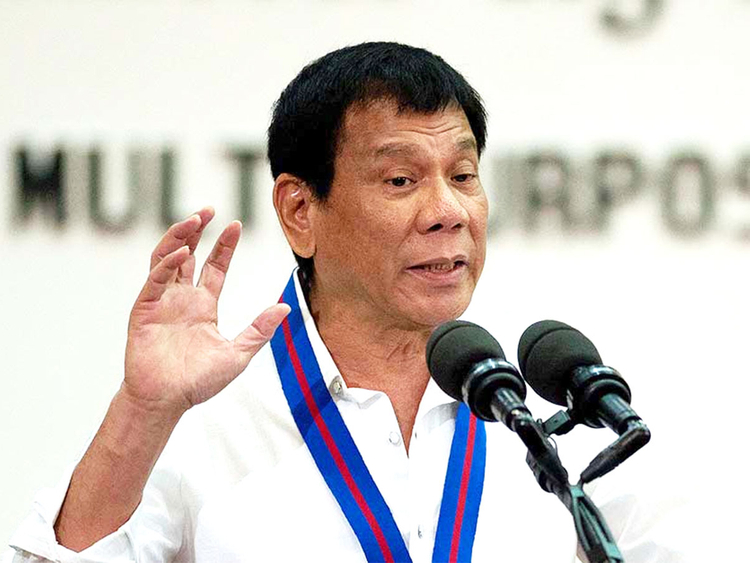 Duterte has also been pushing for changes to the nation's charter, primarily to install a federal form of government. "Someday, let's change it," Duterte said after distributing land titles in the Muslim-majority southern province of Maguindanao. "Marcos was right. He wanted to change it to Maharlika, because that's a Malay word which means more of a concept of serenity and peace." The late dictator, who was ousted from power by a peaceful uprising more than three decades ago, first suggested the name change to promote nationalism after he placed the Philippines under military rule. The Maharlika were the feudal warrior class in ancient Tagalog society in Luzon the Philippines. They belonged to the lower nobility class. In modern Filipino the term has come to mean "royal nobility".